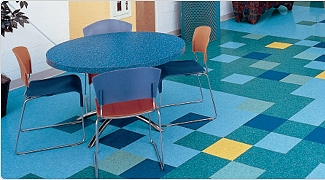 Armstrong Commercial VCT Vinyl Tile Floors offer a wide variety of solutions to fit both your design and budget needs. From vinyl tile to plank flooring, all products are manufactured with the highest of quality standards, including low VOC emissions. 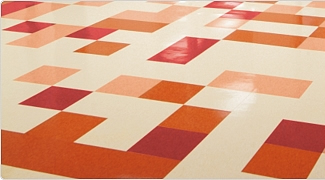 Armstrong Commercial VCT Vinyl Tile can be used in settings of all type including retail, health care, educational, food service and preparation areas, hospital, industrial, and corporate settings. 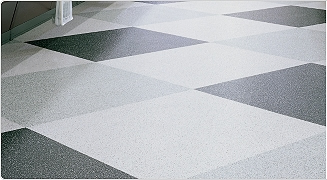 McCurley’s Floor Center, Inc. and Macfloor.com have been distributing and installing Armstrong Commercial VCT Vinyl Tile Flooring for over 40 years. 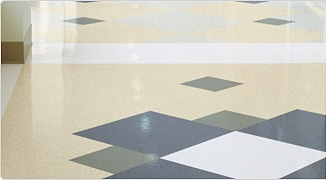 In addition to projects done directly by McCurley’s Floor Center, we have distributed Armstrong Commercial VCT Vinyl Tile products to general contractors, property managers, and many others. 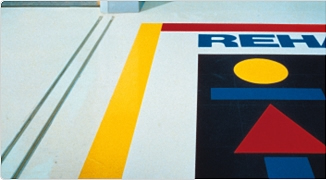 Visit our showrooms in the Northern California/Bay Area at San Ramon and Concord, CA to see our extensive line of Armstrong Commercial Flooring. A flexible design option with four different accent colors contrasted on neutral backgrounds. 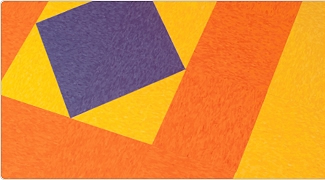 Add design dimension to ordinary tile installations with these colorful squares. True, solid colors for creating accents, borders and insets. Pre-cut sizes make it easy and affordable to create custom effects. Granite-like pattern and organic colors create a true, non-directional appearance. Colors range from subtle neutrals to bold accents for design flexibility and creativity. 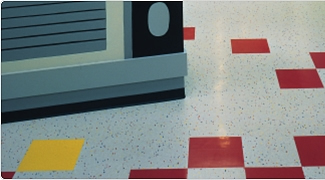 Get the value and advantages of VCT with the safety features of slip-retardant flooring. True through-pattern construction for functional style. 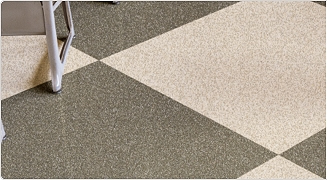 Armstrong’s most popular vinyl composition tile backed by decades of proven performance, quality and value. Designed for flexibility — each tile consists of three base colors and four accent colors that coordinate with Imperial® Texture. Bold, inspiring colors with eye-popping intensity. Available in 10 vibrant colors and with true through-pattern construction, Rave™ is perfect for retail, education and pediatric healthcare applications. Dissipates static charges to increase safety and prevent damage to sensitive equipment. Excellent for computer classrooms, repair and testing labs and other electronic environments.